Glasgow Voluntary Sector LGBTI+ Network was established in 2016 to use our collective power to challenge inequalities and create lasting solutions for LGBTI people (living in Glasgow). The main activities of the Network are influencing, learning and sharing, building relationships and collaborating. The Network does not seek to be the voice of all LGBTI communities and individuals in Glasgow, nor does it claim to represent them all. Rather, it aims to create a space where Network member organisations can give voice to the concerns and issues facing their service users and members. 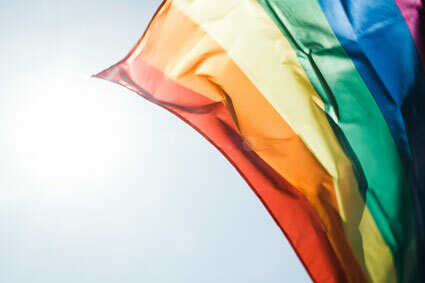 The Network recognises that LGBTI people can face multiple forms of discrimination based on racism, sexism, classism, ableism, transphobia, ageism, gender status, xenophobia and bigotry, as well as other forms of identity. The Network recognises these facets of identity cannot be observed separately. The Network is committed to challenging all forms of discrimination and prejudice. The Network meets around 4 times per year. Any organisation wishing to become a member must submit a request in writing to the Network, by email or letter to lorraine@crer.org.uk, or Lorraine Barrie, Glasgow Equality Forum, CRER, 8 John Street, Glasgow, G1 1JQ. Full terms of reference are available on request.